For 30 years runners have been told that their only hope of salvation from injury is an expensive shoe-until now. The barefoot running and minimalist-footwear revolution is here and it is turning the world of running upside down. A Harvard University study made from early 2010 shows that barefoot running is better for the body and feet than running in expensive shoes. Dr. Craig Richards is a medical doctor and keen runner. 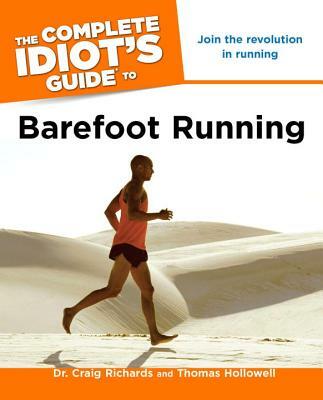 In 2002, he co-designed and patented the first "barefoot" running shoe of the modern era. His work has been reported in "The New York Times, Washington Post" and "Running Times" and as well as in the bestselling book, "Born to Run." Thomas Hollowell is a full-time author, USAT triathlete, international marathoner, as well as a barefoot practitioner and a running coach for a triathlon university club abroad.